So, you’ve made the decision to be more self-sufficient. Perhaps you have one or more of the following: a garden, laying hens, meat birds, dairy goat or cow, pigs. Of course as these ventures start to produce, you will want to learn how to use everything on your homestead so none of it goes to waste. As you start to cultivate these ventures, it is likely you will face decisions on how to feed the animals, how to grow the garden and what to do with extras. When we first started, as much as I don’t want to admit, we did let things go to waste because we just didn’t know how to use everything on our homestead effectively. Now, our goal for our homestead is to use everything that we make in some way. You may also be interested to know that by using everything on our homestead, we save at least $2500 a year by homesteading! Want to take it a step further and make a profitable homestead? We currently make a profit on our homestead and manage it with these profitable homesteading tips. 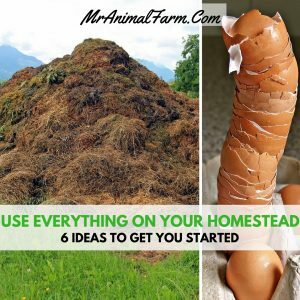 So, how can you use everything on your homestead? 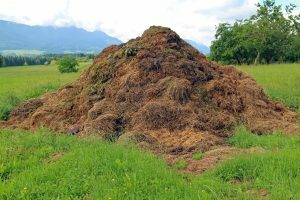 You may be thinking you won’t be able to use everything on your homestead if you are getting into several different areas. However, in reality, most homesteading adventures actually integrate really well together. 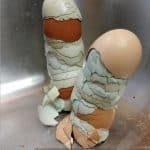 If you have chickens and they have started to lay then you know sometimes their eggs will get broken. Instead of throwing it out, we either put it in the compost or scramble it up and give it back to them for breakfast (you can break the shell up for them too for extra calcium!). 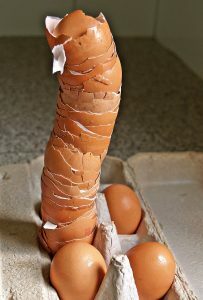 Even if your egg isn’t broken, don’t forget to use the egg shells in additional ways. 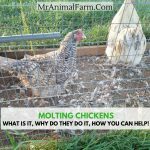 If you aren’t sure how to get started raising chickens, check out this raising chickens ecourse! We have 2 goats in milk currently and sometimes we either have more milk than we can use or run out of time to do stuff with the milk. 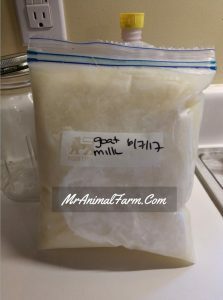 You can always freeze the milk and use it for later (soap, cheese, cooking). When we have a really large surplus we feed it to our chickens in their fermented feed. Not sure how to make soap? This is our favorite soapmaking book! If you have pigs, they would also LOVE some extra milk. Want to know more about raising dairy goats? Join us in our Raising Goats eCourse! If you went overboard with your garden planning and have extra stuff from the garden, maybe a bumper crop of different peppers. Or perhaps, you did some processing of your harvest and you have the ends of the green beans left, pumpkin seeds or other goodies. We toss them to the chickens and goats (also pigs if you have them) for an extra special treat! Once your plants are done producing and you are pulling them up toss them in the compost or out to the animals for a tasty treat (make sure not to give anything poisonous to the animals you have). Again this can all go to the compost pile or to your animals. 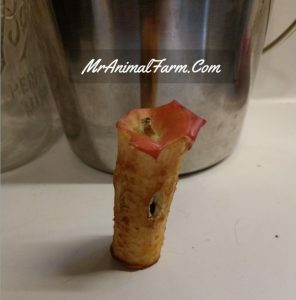 For instance, we eat apples every morning with breakfast and always give the chickens the apple core when we finish. When you are cleaning all the straw and poop out of your coops and stalls, don’t let it go to waste! We put all of the waste into our compost pile which we then put on our garden each year. These are just a few of our ideas we try to use everything on our homestead. And, as I mentioned, using everything on our homestead has allowed us to save over $2500 a year! 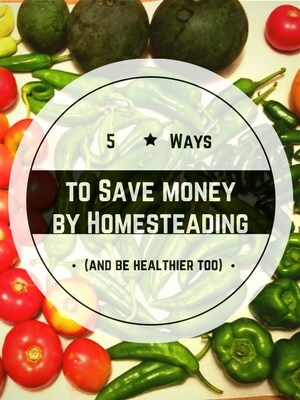 Find out how we save money homesteading. The super awesome thing? 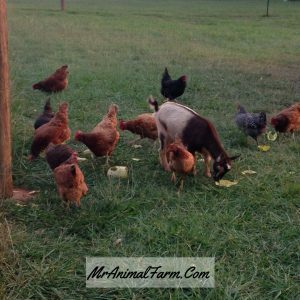 We not only save money but we have also turned our venture into a profitable homestead! And you can too, check out our profitable homesteading worksheets. What are some ways you re-purpose things so you can use everything on your homestead? Hey you forgot about collecting rain water. We re-cycle old trash barrels and use them to collect as much rain as possible. This saves our well, our animals like fresh water and it’s great in the garden. Thanks for all of the great tips.